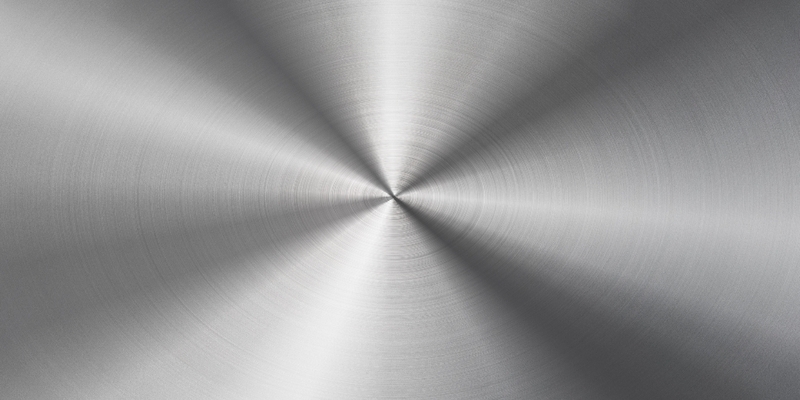 304/316 Stainless steel: Stainless steel is a generic name for types of steel which contain at least 12% Cr, and Ni, Mo, C, Ti, etc., in varying amounts. Compared to other types of steel, the common feature of stainless steel is significant corrosion-resistance in an oxidizing environment. Stainless steel was first adopted after the end of World War I, mainly in the machine and chemical industries. Today, stainless steel is used in many industries, from utensils used in domestic households to different solutions in the food industry, processing industry, automotive industry, and elsewhere. Today, the following types of stainless steel are mainly used: ferrite, martensitic, austenitic, and austenitic-ferrite steel. Ferrite steel: Steel in this group ranks second among stainless steels in terms of its usability. Steel belonging to this group typically has a Cr content of about 13-25% and low carbon content. Steel can be divided into two groups, based on its properties and usability. A group with chromium content between 13-17% – the corrosion resistance and weldability of which is not subject to great demands – used, for instance, to make kitchen appliances and sinks. Steel from the other group, with Cr content of 25-30%, is good at withstanding high temperatures and is used to produce ovens and other items that must withstand high levels of heat. Steel from both groups is magnetic at room temperature. Austenitic-ferrite steel: Steel typically contains 18-25% Cr, 5-6% Ni, and 0.03-0.15% C. Corrosion resistance is similar to austenitic stainless steel, but austenitic-ferrite steel is more resistant to corrosion if the steel is bent or it is under pressure. Steel is generally used in the petrochemical industry, the oil and gas industry, and the chemical processing industry. The steel is magnetic. Martensitic steel: The Cr content of martensitic steel falls between 12-18% and its typical carbon content is 0.3%. The steel can be hardened, and its strength is also raised by increasing the carbon content up to 0.6%. The steel can be grooved, forged, and melted, but not welded. The material is best for producing machine parts, pump shafts, rotating parts, and sharp instruments. Martensitic steel has higher carbon and molybdenum content and it is used to produce tools as well as stamping and perforating machines. The steel is magnetic. Austenitic steel: Austenitic steel is the most important type of stainless steel, accounting for more than 90% of all stainless steel consumption. Steel is often also called 18-8 steel, which marks the typical Cr and Ni content of the metal, respectively. This steel is not magnetic and its corrosion resistance is not the highest. Its main characteristic is excellent flexibility, meaning that it handles being processed well. Steel can be used in processes that require plastic deformation, making it suitable for use if the bending of products is required. This group includes 304 and 316, the most commonly used stainless steel types. In turn, these types include an array of alloys. The choice of a type depends on the intended use and processing method. If steel needs to be welded, most often steel types with less than 0.03% carbon content are used. The chromium content should be around 17-18% and the nickel content is typically 10-12.5%. The carbon content of austenitic steel has an effect when heated rapidly, including welding. If the carbon content is higher than 0.03%, chromium carbides will start to separate. Chromium carbides separate mainly from the edge of the structure, and if after-treatment is not done, the steel is no longer protected from corrosion at these spots. If an alloy with low carbon content is used, no chromium carbides are formed, while a titanium alloy also helps to prevent the emergence of chromium carbides. The main difference between the two types is their Mo content. While the 304-steel does not contain molybdenum, the usual Mo content of the 316-steel is 2.2% to 2.7%. Corrosion resistance can be increased by adding Cr and Ni to the alloy. 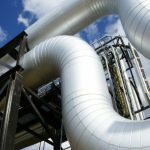 By adding more Mo, the steel becomes even more resistant to chlorides and diluted acids. Usually, the difference between the 304 and 316 types of steel are marked as stainless steel and acid-resistant stainless steel, which, however, cannot be considered correct. Naturally, today it is possible to produce steel with a higher molybdenum content, which among other things allows for an increase in the steel’s resistance to seawater over 20ºC; however, in this case, it must be taken into account that the price of such steel is significantly higher than that of regular stainless steel. It is not possible to distinguish between these two steels through visual inspection. Therefore, both producers and processors must have a very good overview of storing and using both types of steel, so the steels would not be mixed up in the production nor storing process.